The Defining Moments of Dorm Life: Frazier, Simpson, and the Murder at Bowie State. Humiliation burns. It’s a slow heat, originating in the ankles and creeping with excruciating slowness until it reaches the face and waters in the eyes. I felt its familiar sting two months into my first semester in college, when I returned from an evening class to find that my roommate had double-bolted our dorm room door to lock me out. I tried the key a second time; like before, it turned easily to the right but the door didn’t budge. Darkness filled the pane of glass above it, and as Luther Vandross wafted under it and into the hall, so did half the girls on our floor. It was clear that how I handled this situation would be the defining moment of my college social life. I’d be distilled into one of two adjectives: assertive or acquiescent; powerful or pushed-over; confrontational or compliant. I wasn’t ready, just then, to decide what I’d be for the next four years. Instead, I backed away from the door and went off in search of a pay phone, which I used to tearily call a relative. “You get back up there and stand your ground,” she said. I didn’t know what standing my ground should entail; I’d rarely, if ever, had to do it. As an only child, this was my first time having to share a room–share anything, really–with someone else. I’d had very little conflict in life; I’d seen to that, by being as imperceptible as possible in any social situation. Dominique Frazier, 18, was killed in her dorm at Bowie State University on Sept. 15. Alexis Simpson, 19, confessed to killing Dominique during a heated dormroom argument. 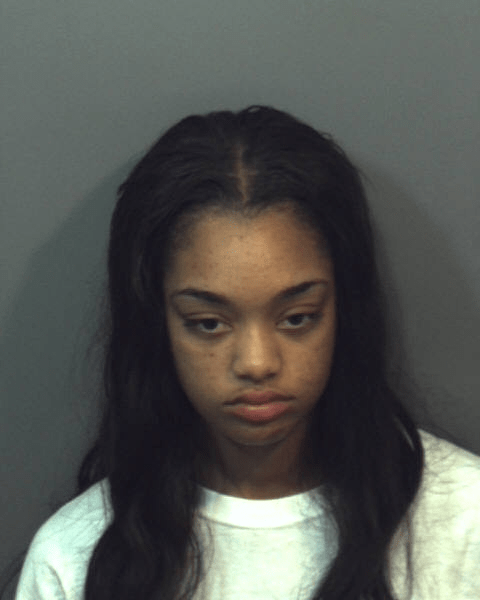 When I heard about the likely accidental homicide of Dominique Frazier at Bowie State last Thursday, then saw her alleged killer Alexis Simpson’s mug shot, and read the quote Alexis reportedly uttered before fleeing the scene, my heart divided its empathies between the needlessly deceased only child and the impossibly young, saddened face of the girl being booked for murder. Dominique, a freshman, and Alexis, a transfer from Clark Atlanta, were suite-mates. School has only been in session a few weeks. They were already at odds, insomuch that Dominique’s mother offered to help her secure a room change. Their defining moment came early, the fates of their college lives already decided long before their first midterms. Regarding the particulars, reports conflict; but by most accounts, the row began with an iPod. One powered the other’s off–in front of visiting friends. A cursory trip to either girl’s Twitter feed suggests that both are strong personalities, unafraid of direct confrontation. For one to assert control over the other’s possessions meant inevitable conflict. Neither would stand for a public humiliation. Dorm culture is incredibly voyeuristic. Gossip spreads faster than an airborne virus, and all it takes is a peak into a neighboring doorframe to confirm or deny any rumor. As the disagreement between Dominique and Alexis escalated, there were certainly onlookers. There were probably instigators. And soon, there would others gathered in abject terror. Alexis briefly left the fight scene and returned with a sharp object, which was ultimately transformed from a prop in a dramatic schoolfight to evidence in a murder investigation. No one knows as well as Dominique and Alexis the extent of their contention with one another. Media coverage describes the deceased as an honor student with a full scholarship who was already well-known on Bowie’s campus. Initially, no one seemed to be saying much, one way or another, about the character of the accused. Now, a few friends of the accused have emerged, saying that she was nicer than she let on, an only child known to claim a grittier lifestyle than the one she actually led. We do know this: hours after leaving campus, where Dominique sat bleeding out in the dorm room hall, Alexis turned herself in to police. To be sure, she had little choice. With a dorm full of witnesses, it was only a matter of time before the authorities tracked her down and arrested her. But her willingness to submit herself to the consequences of her impulsive actions, as well her quote in her charging documents, suggest that she is just a girl who failed to check her anger in a situation that absolutely called for it. She is a girl much like I was, as I trudged back up to my locked dorm room, trembling at the prospect of a loud confrontation. I passed my roommate and her male guest, as she escorted him out of the dorm. And when she returned, we had it out. We weren’t loud, but our conversation was certainly heated. Increasingly emboldened by my own righteous indignation, I quietly hissed that it was wrong for her not to discuss her plans to entertain with me, before barring me from my living space. She very calmly responded that I should’ve been cooler about it, should’ve just gone somewhere and hung out until she was finished, should’ve responded “normally,” rather than blowing things out of proportion. This is where it could’ve gotten real for me. Alexis Simpson real. If our personalities were different, this could’ve been our “sharp object” moment. We were fortunate for the opportunity to live longer and to learn what it means to respect another person’s space, wishes, and intentions. We were able to refine our communication skills and have civil, amicable, mature differences of opinion–even if other peers were present. We were able to grow up. At least I think we were. At the end of our first term, after exchanging less than ten full sentences between that fateful night and winter break, my roommate and I parted ways. I chose to move home and commute to campus until sophomore year, when I got my first of many single-occupant dorm rooms. It wasn’t the most practical of decisions. It wasn’t exactly standing my ground. But at the time, it was what was necessary to ensure that I didn’t become a version of version of myself that I and others feared. These young women at Bowie were not granted that opportunity. Perhaps their lives will become part of a larger discourse on what it means to live peaceably in a fishbowl. This is the message that tends to escape incoming freshmen amid all the fliers and fanfare of orientation: it is never the iPod. It is never the male guest, the lock-out, snicker and jeer of your peers. In the end, it is two or more vulnerable strangers alone in a room who must learn, with little mediation or supervision, to respect each other’s privacy, property, and personhood or face a complex system of consequences. In this case, the penalty was death.